Vietnam lost 0-1 to Japan on Thursday in the quarterfinals of the Asian Football Federation Asian Cup in the United Arab Emirates. 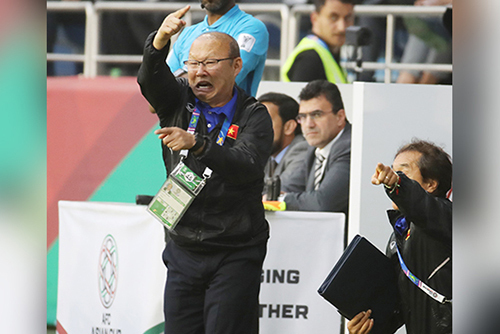 Vietnam's national soccer team, led by South Korean head coach Park Hang-seo, had scraped through to the last 16 by virtue of having a superior disciplinary record to Lebanon, but failed to advance to the semifinals after losing to Japan. In Monday's semifinals, Japan will take on Iran, which defeated China 3-0 on Thursday.